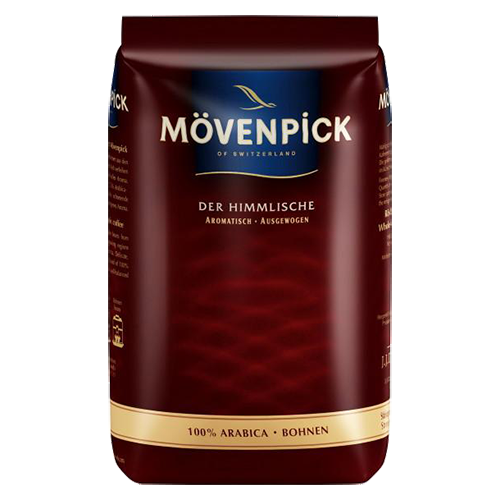 Mövenpick Heavenly coffee beans is the great classic from Mövenpick. Made from 100% Arabica beans which reflect a perfect harmony between taste and rich aroma. Special coffee beans selected from the best areas are the basis of this aromatic and balanced coffee. Delicate and sensual, a real treat at any time of the day. The special feature of this coffee comes from the blend of selected coffee beans grown at high altitude and blended and roasted by experts, that way it develops an incomparably rich aroma.